Jeffry Adest is a Partner/Director at Garfunkel Wild, P.C. He joined the firm in 1999 and is a member of the firm’s Health Care, Business and HIPAA Compliance practice groups, advising clients on a wide range of business, regulatory and transactional matters. Mr. Adest represents numerous federally qualified health centers (FQHCs), health system hospitals, physicians, dentists, nursing homes, behavioral health providers, labs, outpatient facilities, health homes, management services organizations and other health care clients in a variety of corporate and regulatory transactions and matters in both New York and New Jersey. Mr. Adest regularly counsels federally qualified health centers and look-alikes on many complex and day-to-day issues. Mr. Adest assists entities in the legal aspects of the application and establishment of federally qualified health centers and look-alikes. Mr. Adest also has extensive experience in structuring and reviewing myriad types of contracts and services agreements between these health centers and other health care providers, business associates, and vendors, while ensuring that the health centers continue to comply with the extensive fraud and abuse and specific service requirements imposed by applicable laws and regulations. As these types of health centers are federally regulated and subject to several specific requirements, Mr. Adest has assisted the health centers in achieving and maintaining compliance, including complying with the governing body's composition, HRSA requirements and the many other regulations and promulgations applicable specifically to federally qualified health centers and look-alikes. In addition, Mr. Adest counsels these health centers on issues related to Federal Tort Claims Act coverage, communications with applicable Federal agencies, change in scope of service, and other issues. Mr. Adest is a frequent lecturer on a variety of issues, including FQHC issues; HIPAA compliance issues, physician practice issues and nursing home issues. 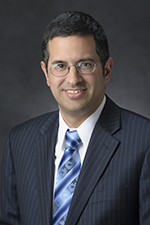 Mr. Adest was admitted to the New Jersey Bar in 1996, the New York Bar in 1997 and the Connecticut Bar in 2013. He is a member of the New York Bar Association, the New Jersey Bar Association and the American Health Lawyers Association. Mr. Adest received his B.S. from Yeshiva University in 1992 and his J.D. from New York University School of Law in 1995. Co-authored chapter of Legal Manual for New York Physicians (Third Edition), entitled HIPAA & HITECH Electronic Transaction, Security and Privacy Regulations.